When it comes to festive beauty, you can’t beat a killer red lip. Whether it’s worn with scarves or sparkles, there’s nothing which quite lights up the season like it. 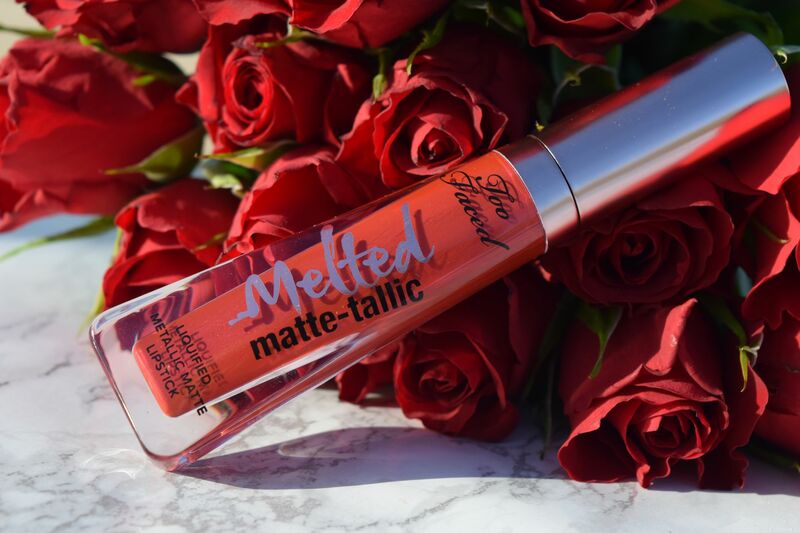 As someone who can be a little hesitant when it comes to dramatic colours, I was more than a little obsessed when I caught sight of Too Faced’s Melted Matte-Talic Lipstick in I’m Too Faced. 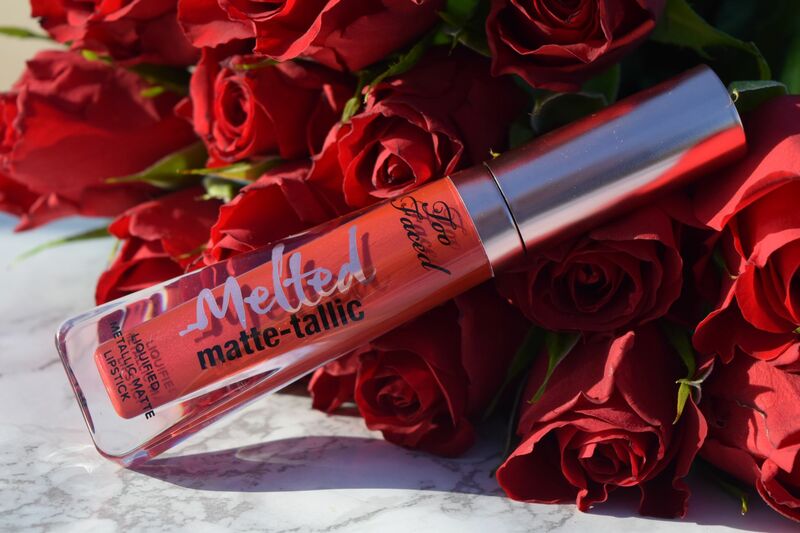 A true warm-based red, complete with metallic sheen, this isn’t your regular liquid lip. It’s super special, and really, Christmas couldn’t feel more perfect for it! Applied straight from the tube, the formula is rich, and almost mousse-y in texture. It paints on evenly, and is opaque from the first swipe. It couldn’t look more festive if it tried! 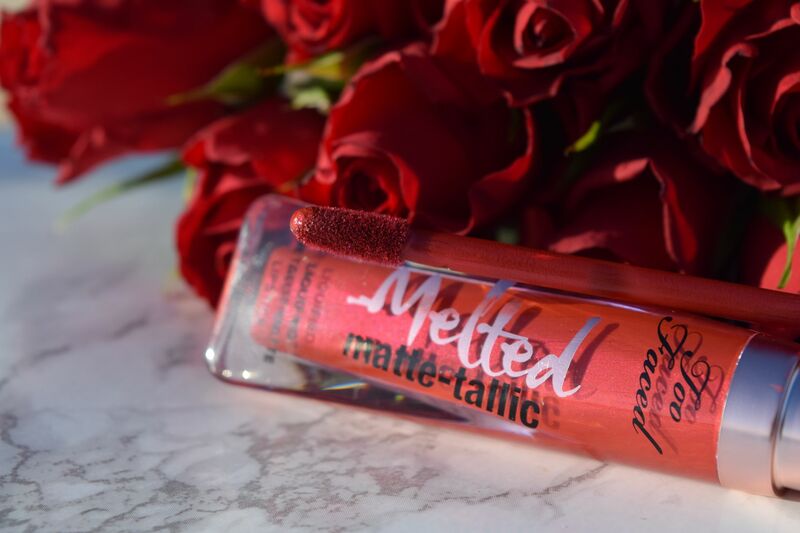 Once the lipstick is on, it dries down to a gorgeous, velvet-y texture. Unlike other mattes, which can look a little harsh or flat, this is stunning. Once it dries, the metallic sheen comes out, leaving lips looking almost burnished. It’s seriously glamorous, and feels absolutely perfect for this time of year!